An educational website of yours shares your credibility and sheer will of your educational services. To let your site visitors know about your better services and quality education, you will always want to ensure your website is filled with quality stuff and attractive information display. If you are finding it difficult to maintain your desired look in your website, SP Page Builder and SP LMS extensions could be your ultimate friend with their magical customization accesses. 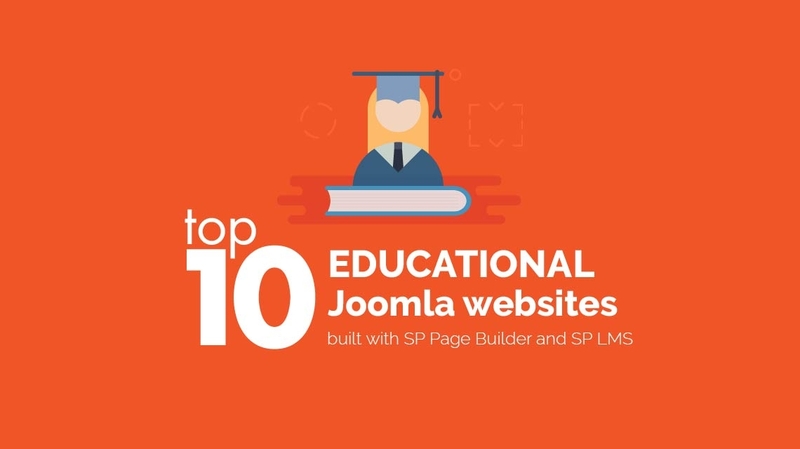 Let’s look at some of the amazing websites built with SP Page Builder and SP LMS. We also have two stunning templates powered by SP LMS," Educon " and "Varsita". You can also take a peak on them. So, these are our shortlisted top websites (from around the world) built with SP Page Builder and SP LMS. Don't forget to share your experiences with SP Page Builder and SP LMS while developing your websites. Also share your websites developed with SP Page Builder and SP LMS with us. Use the comment section to give us suggestions regarding improving our products to make your web journey more efficient and hassle free. Windows 10 is a digital version of the classic card game of solitaire. the cards and players simply need to focus on finding the cards that they need free spider solitaire games to make suits so that all the cards can be played and they win the game. I am studying in the math class at Chicago Public Schools and have had difficulty in learning marketings for several months. I am interested in the online help or a tutor who will help me to do my homework, as well as to prepare for the upcoming exam. Or on what site can I order marketing papers?